The annual Handicap run by Woking Scouts takes place at Woodlarks in Farnham. This weekend gives special needs children, the chance to take on new adventures and experience camp life , just as able-bodied Scouts can. 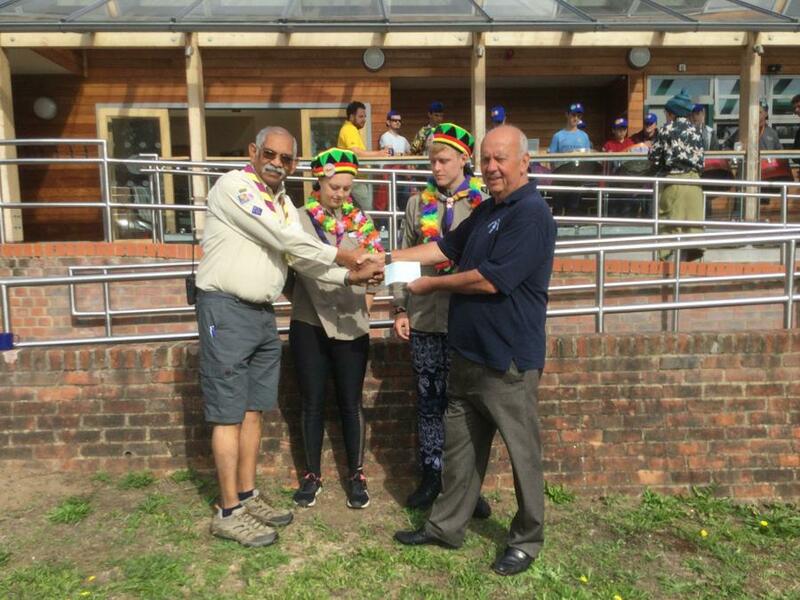 The CWSNF were delighted to be able to give £4000, so that 60 Explorer Scouts and Special Needs children could have "the best weekend ever". Brian Pinto commented..."The funding donated by the Children with Special Needs Foundation for this year and all the previous years of Handicamp makes a huge difference. It means that we are able to keep the fee to each young person at a low and affordable charge and also pay towards the high cost of the climbing and abseiling tower, which is constructed especially for this camp. For me personally it does mean one less big worry of finding the money to run the camp, an event which covers Fun, Friendship and Integration, as well as giving a massive confidence boost for everyone taking part."